This cloud of glowing gas is the Iris nebula, as seen in infrared light by NASA's Spitzer Space Telescope. The main cluster of stars within the nebula is called NGC 7023. 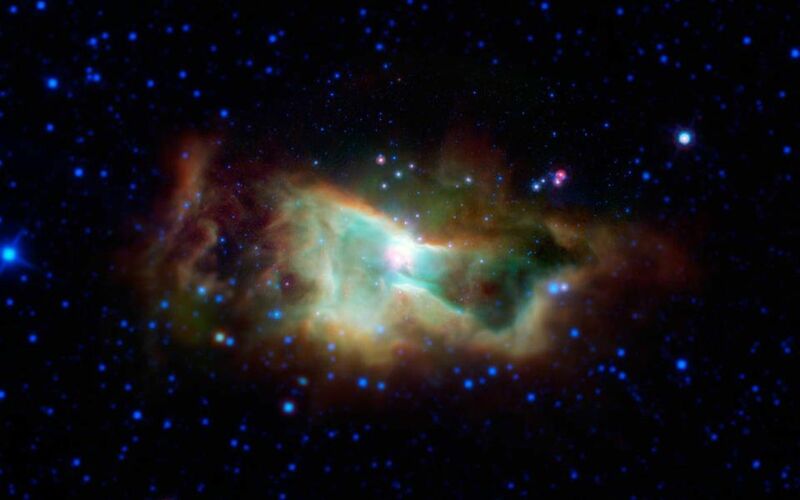 It lies 1,300 light-years away in the Cepheus constellation. Between 2003 and 2005, thanks to its unprecedented sensitivity, NASA's Spitzer Space Telescope created maps of regions like this, showing the location of complex organic molecules called polycyclic aromatic hydrocarbons (PAHs). PAHs may be precursors to the organic ingredients that kick started life on Earth. 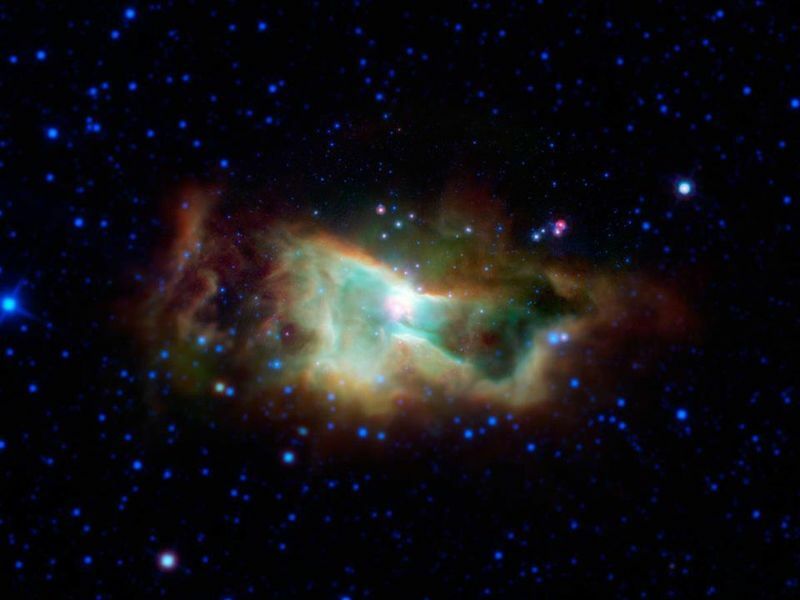 Data from NASA's Wide-Field Infrared Survey Explorer were used to fill out the outer areas of this image, which Spitzer did not cover.